I finally did it. 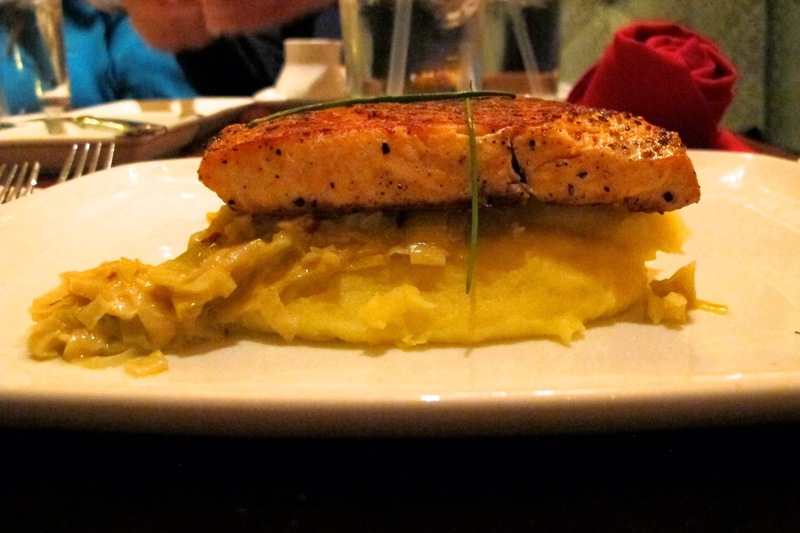 I made the dreamy Salmon with Leek Fondue and Saffron Mashed Potatoes from Disney World’s Be Our Guest Restaurant that I had a year and a half ago. Woah, that sentence had a lot of capitalized words. 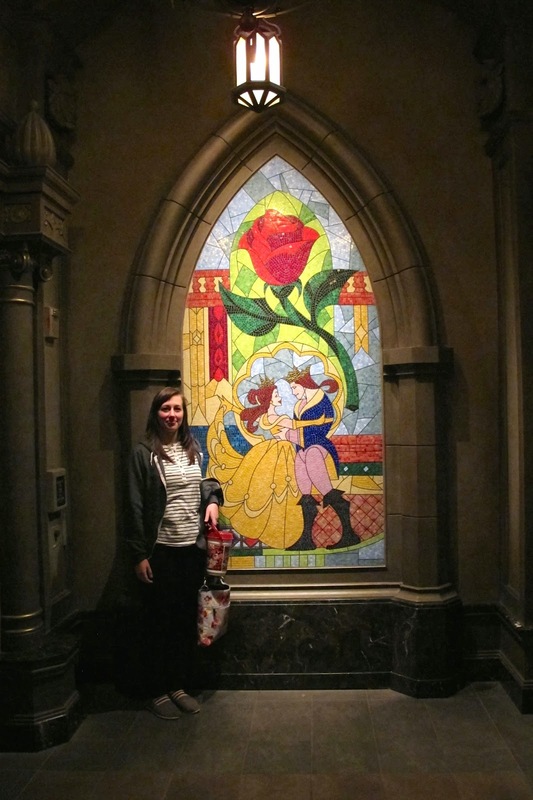 Me in the Beast’s castle! I don’t remember if it tastes the same (being a year and a half since I’ve had it) but I remember loving it at the restaurant and I loved this recreation. I adapted it from this recipe and upped the serving size by a bajillion. Joe ended up eating it all (aside from most of my portion), so it only served two in our case. I got pretty scared when I added the leeks, orange juice, chicken broth, and chili powder together. It smelled very gross and I was worried it was going to fail. Thankfully I stuck it out and believed in the magic of Disney, knowing it would never let me down. Rinse leeks thoroughly to remove dirt. Halve lengthwise, slice, and pat try with paper towel. Combine leeks, onion, chili powder, orange juice, chicken broth, and 1/2 tsp salt. Bring to a boil on high heat. 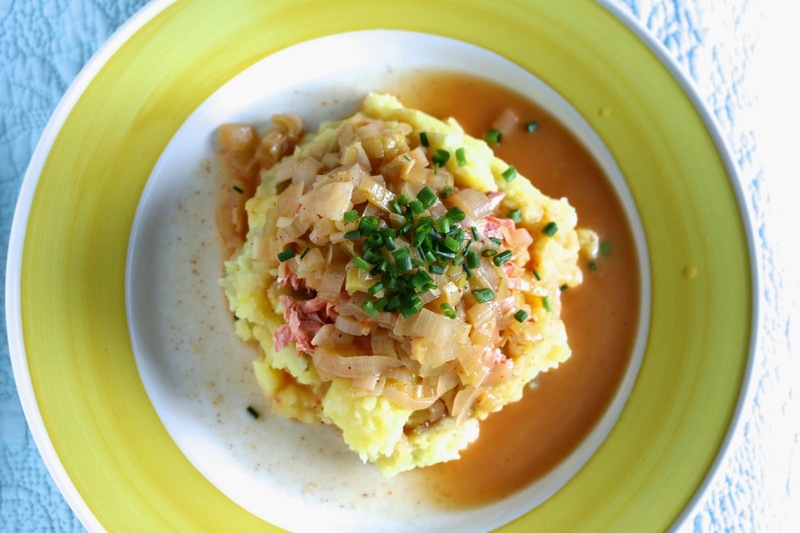 Turn heat to medium and simmer until leeks are tender, around 30 minutes. Add salmon to baking dish. Brush lightly with EVOO and sprinkle with salt and pepper. Bake 20 minutes. Meanwhile, add potatoes and saffron to a pot and cover with water. Boil over high heat about 20 minutes or until fork-tender. Drain potatoes. Return to pan with milk and remaining 2 tbsp butter. Season with salt and pepper and mash. When leeks are done, remove from heat and stir in 2 tbsp butter. 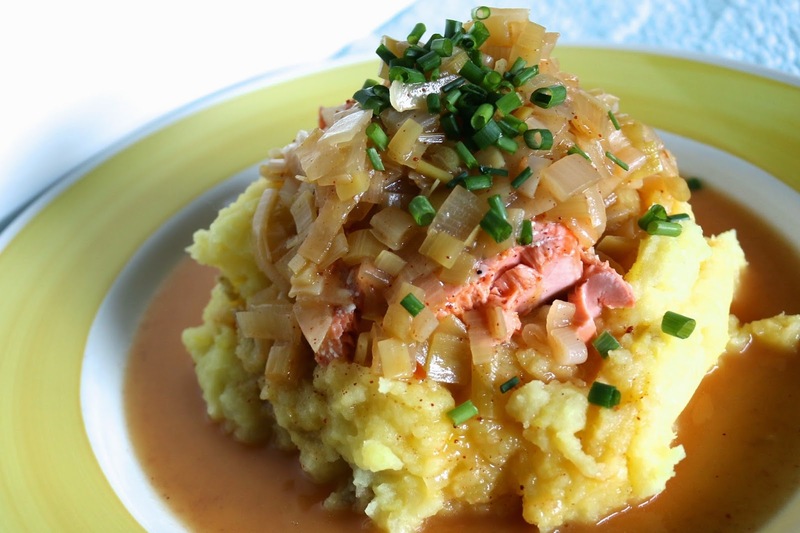 To serve, add potatoes to plate and top with salmon, leek mixture, and chives. Bon Appetit!